We’ve been getting a lot of great mixing questions from customers who’ve purchased Mixing Hip-Hop and Mixing with Compression. Once the same questions started rolling in multiple times, we thought we might as well just publish the questions and answers here. So here we go. Six questions for Matthew Weiss…. I have a track I’m doing for a single and I want to have my vocal sit in the middle of the beat but sound wide as well. A west meets east coast feel. In order to get a vocal to sit well “in the middle of the beat,” pay special attention to having a very focused and present midrange (at 1k to 2k zone). This is one of the reason those old Neumann mics are so famed for recording — they really emphasize this range in a detailed way which is great for vocals. For width, there’s a number of “stereo tricks.” Tucking a subtle chorus underneath the vocal or using a doubler can achieve this. Or, using word-for-word overdub tracks. The key to all of this is subtlety. The vocal should FEEL wide, not SOUND wide. In terms of West Coast vs. East Coast — as of about 1996 or so a lot of vocal techniques were already pretty shared across the map. The biggest variance came in the production and style of delivery more than anything else. Mid 90s-wise — and today to an extent — the biggest difference is that you’d be more likely to hear short bright plate reverbs for ambience on west coast vocals, while east coast vocals would be very tight rooms/completely dry (except Puff Daddy’s stuff which tended to be a bit “sparklier”). Would you say having a main vocal and duplicating it up 3 times to have one center, one hard right and one hard left panned is a good technique for having a “full” sound for Hip-Hop vocals? When you duplicate vocals in this way all you are actually doing is turning the volume up, unless you otherwise effect the duplicates in a unique way (ex: parallel compression, distortion, etc.). There are more complex techniques for filling a vocal across the stereo image. For example, you can make duplicates of the vocal and use chorus or time-shifting effects in conjunction with hard-panning. But this can work against you faster than it can work for you so it’s very case-specific. I have watched all your videos and am getting deep into your articles. I’ll be purchasing the Mixing Hip-Hop tutorial soon. I have a question regarding what to do with lowering high-pitched rap vocals, scratchy voices, and weak voices. Also, if you have any info on plugins I should get, that would be awesome. I am currently using CLA Classic Compressors and looking for an EQ. What EQ would you recommend? I was looking into API (on sale now) and SSL 4000 but I’m up for anything that you recommend. 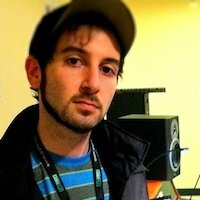 I’m also in the process of making an EP with Andrew Mitchell at AudioBay Mastering, he has a Grammy on a Folk Album but has no experience with rap in particular. For getting weight into thin vocals: It’s a bit context dependent but first thing I’d try is simply straight forward EQ. Usually a wide bell boost from the bass range (around 100hz) can add some transparent weight. Sometimes that does the trick, sometimes that’s just not enough. Another option is to use something like RBass/Maxxbass around the 100-200hz range. You can get a sense of low end without actually needing to have low end there. Lastly, and I’ll demonstrate this technique when I get into the followup vocal tutorial — you can create a parallel compression return, and CRANK the low end into the compressor, then blend in the return to add weight. For EQ recommendations: General purpose I like Sonnox and Fabfilter. For something with a bit of mojo, the API and Waves SSL are also good picks. And lastly, mastering. A good mastering engineer is a good mastering engineer. Just because Andrew is known for Folk music doesn’t mean he can’t do Hip-Hop. Of course, it doesn’t mean he can either. My suggestion is to communicate with him — explain what you expect and send examples. He should be able to get on board. I’ve been making hip-hop music for awhile now. Concerning just beats, I was “taught” to believe that compression should always be applied to the whole mix, not individual busses. I feel that it is better this way because it results in a more “cohesive” sound. What I’ll do is get the levels right, EQ, and sometimes set up Reverb as a send and mix some of the elements of the beat to it. Then, when the mix is good and ready, I’ll put a compressor on the mix buss (one that has a HPF, which i’ll set up so it won’t affect the low end), smash the hell out of it, attack and release according to the beat (but fast nonetheless), ratio fairly high (say 8:1), turn up the gain say around 20 dB, and mix a LITTLE of it to the dry track, resulting in “thickness” for lack of a better term. What are your thoughts on this process? Pros/Cons? Is there anything you could tell me about where to boost and cut with EQ and things like that? Because now I know what to do but not really where to do it. Ok — how to address your question. Here’s the thing about where to boost and cut vocals: there is no set specific frequencies. It varies pretty widely from voice to voice, from recording to recording, from song to song. A perfect recording might not need any EQ at all! Which is why tutorials that say “cut 500 Hz, boost 2 kHz” don’t really work. 1. Top end. You want a good shine on the top end, so you’re often looking to boost. But you have to be wary of “s” sounds and “t” sounds becoming over exaggerated. So you may also be looking to use a de-esser in conjunction with top end boosts. This is your 5 kHz+ zone. You’ll have to experiment with what frequencies work well for your voice up there. 2. Upper Mids. The presence of a male voice usually falls between about 2 and 4k. A wide boost centered somewhere in there often helps lift the voice forward. But if your voice is naturally very midrangy or recorded in a way that already brings out the midrange you might not need it. Depending on the recording you can also get excess build up in the upper mids — 1 kHz up to 5 kHz — that can make the vocal sound harsh, even when it doesn’t sound present enough. 3. Lower Mids. The lower mids are the body of the voice, but also where a lot of gunk shows up. If the vocal sounds “dirty”, bulky, boxy, muddy, unpolished — any of those words coming up — chances are there’s some extra harmonic content between about 250 – 800 Hz. That’s a fairly wide range so you have to be pretty discerning to figure out what needs to go and what needs to stay. Also, if you take out too much of that range your voice will sound thin and cheap, so be judicious. 4. Low end. This is your stuff under 250 Hz — it’s the weight of the voice. You don’t need too too much bass. Just enough to sound like your voice has power. After that, any extra bass is probably unnecessary. Anyway, like I said the specifics are going to come down to your voice and the recording, but that should give you some good target frequency zones to experiment with. First of all, I loved your tutorial but I just have 3 simple question on the videos. 1) What do you do to export? Do you keep it at 24-bit or 16-bit. Do you dither? 2) You said there are better limiters out there than the one you use in the tutorial? Any favorites? 3) Can yall make a video on MaxxBass? It really threw me off when you said 60 Hz was the key of the bass. How do you know that? 1) Export and dithering. The final record is best exported at 16-bit. While the highest quality is 24-bit, hard copy CDs and MP3s both function at 16-bit. And the difference between 24-bit and 16-bit is barely audible. I use a dithering program — which one is negligible. It’s essentially injecting low level noise into the file to mask quantization error, all of which is happening almost too low to actually hear. 2) I believe what I said is there may be better limiters for the specific job. I tend to use the FabFilter Pro L. This limiter is very good, but it’s not the best for every job. It’s a little tricky to use, whereas a limiter like the Waves L2 or Slate FGX are a bit more intuitive. Slate FG-X would be my recommendation to you. The FabFilter is only going to do a better job if you really know what you’re doing, and even then, the differences are a bit give and take and not extremely noticeable. 3) MaxxBass is a tricky little plug. It enhances the perception of bass by boosting the first and second order harmonic content. As for finding the fundamental frequency that you want to enhance you will hear the bass “lock in” and feel significantly more present at that frequency when you hit it. That said, you will also hear other frequencies that often offer something compelling, and you have to make a judgement call as to what’s really best for the record.